i2 Analytical has the logistic capability to support client projects located across the World. To date we have undertaken projects throughout the UK, Central Eastern Europe, North Africa and South East Asia. The logistics department organises quick shipments of empty sample packaging to your site or offices. This packaging will include sample jars, shipment boxes, ice packs and return airway bill (AWB). The shipment costs will be charged at a fixed amount on the final invoice. SMS messages are used to keep you informed and advise you of your unique project reference number. You will also receive an email confirming sample receipt and a summary confirming the analysis to be carried out on your samples. For delivery of containers and sample collection in the UK, i2 Analytical’s own transport service with active cooling is available. These vehicles can be deployed on a daily basis to collect samples from anywhere in the UK. The standard turnaround is 7 working days, other than WAC, which is 8 working days. If you need a faster turnaround than the standard please contact the laboratory before sending the samples to check availability to avoid delays. 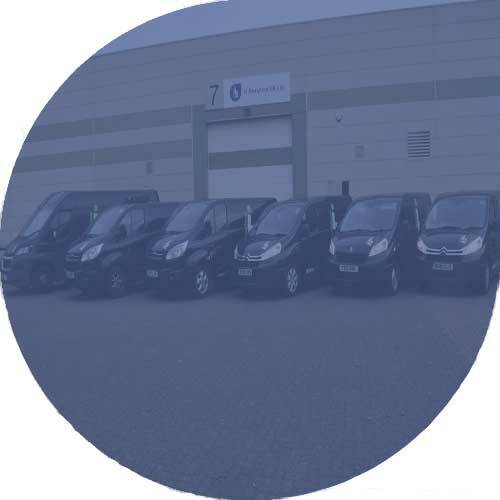 We can offer a 24 hour, 2, 3, 4 or 5 day turnaround service to meet your needs. The turnaround times are calculated from receipt of the samples before midday on day 1 with an appropriate analysis schedule. Standard turnarounds vary from project to project but are generally available on a 5 to 7 day standard turnaround. We are able to offer guaranteed faster turnarounds, please contact the laboratory before sending the samples to check availability to avoid delays.